Character – 8 to 8.5 - Plum-like, berries, chocolate on thedarker side. Body – 8 to 8.5 - Medium to full body depending on the roast. inca La Bolsa was bought by Jorge Vides, a distinguished medical professional, in 1958. 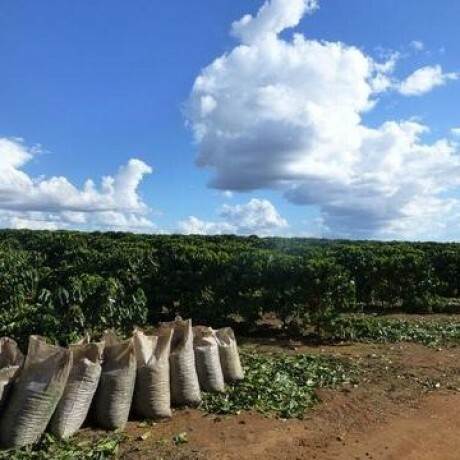 Prior to this the land wasn’t used for coffee production. Jorge won a number of awards for coffee production and for services to the region of Huehuetenango, and had the main hospital in the coffee growing community named after him. La Bolsa competed in the 2002 Cup Of Excellence competition and placed second, scoring 94.98. La Bolsa sits between two mountains, which provide a very stable, humid microclimate. This combined with the limestone rich soils give the coffee a very unique profile, with a rich syrupy body and plenty of malic and citric acidity. Coffee is fermented for between 18 and 24 hours, and is then cleaned of mucilage, graded in channels and soaked overnight.La Bolsa is RFA certified & follows C.A.F.E practices guidelines. Coffee Care funded the construction of a school and nursery at the farm, with fully trained, full time teachers. All of the temporary and permanent staff have access to schooling for their children, and they are incentivised to leave their children at school or nursery through food donations. When a child attends school or nursery for 5 consecutive days they receive a weekly supply of rice, beans and corn. Prior to this food ration scheme it was very difficult to get people to leave their children in the care of others, and schooling wasn’t necessarily valued as there is a greater pressure on earning more money to feed the family. As a result there are no children working in the farm, and the school and nursery classes are full. Accommodation is provided for permanent and temporary workers, with separate facilities for men and women and families, bathrooms and kitchens. Sections of the farm are reserved areas, to promote biodiversity, reduce exposure to winds and soil erosion. Inga trees are used as a shade trees, and to fix nitrogen in the soil which is essential for plant and cherry growth. Renardo has an expansive composting operation to make use of waste products, using redworms. SPARKLING WATER DECAFFEINATION PROCESS - This process was first discovered by a scientist called Kurt Zosel at the Max Planck Institute for Coal Research in 1967 as he was looking at new ways of separating mixtures of substances. In 1988, a German decaffeination company called CR3 developed this process for decaffeination whereby natural carbon dioxide (which comes from prehistoric underground lakes) is combined with water to create ‘sub-critical’ conditions which creates a highly solvent substance for caffeine in coffee. It is a gentle, natural and organically certified process and the good caffeine selectivity of the carbon dioxide guarantees a high retention level of other coffee components which contribute to taste and aroma. 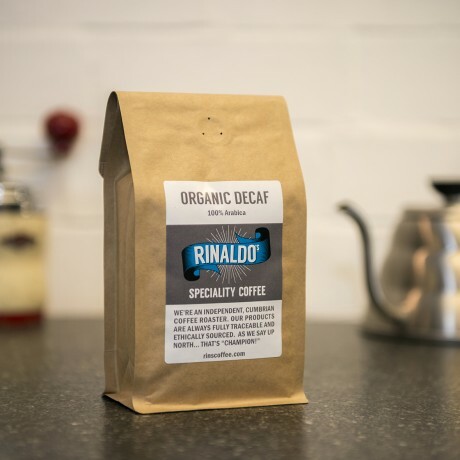 NOTE: OUR DECAF IS SEASONAL AND SUBJECT TO COUNTRY AVAILABILITY - SOMETIMES WE ARE ABLE TO SOURCE AN ORGANIC DECAF. HOWEVER, EVEN OUR NON-CERTIFIED ORGANIC OFFERING IS FULLY TRACEABLE AND ETHICALLY SOURCED.